Join us at 7:30 am on the first Sunday of every month for a social run/walk on the trails! 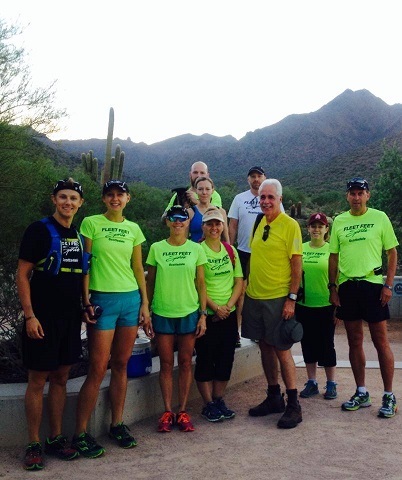 We typically meet at Gateway Trailhead in Scottsdale, however we will be changing up locations from month to month. To stay up to date on where we're meeting please stay tuned to our Facebook page. We have groups that run, walk/run and walk the trails. Please bring a water bottle...it's important to stay hydrated! This is a fun social time to meet friends who like to move! There is no cost associated with this group!